AWS Container Competency Partners have a technology product or solution on AWS that offers support to run workloads on containers. The product or solution integrates with AWS services in a way that improves the AWS customer's ability to run workloads using containers on AWS. APN Partners that offer foundational technology help customers by providing a uniform and consistent method of managing multiple containers regardless of the workload on AWS. These technology solutions must consider the key tenets of running a containerized workload on AWS and should be capable of Auto Scaling, Service Discovery and have standard networking capabilities. Docker and AWS provide enterprises the ability to deliver a highly reliable and cost efficient way to quickly deploy, scale and manage business critical applications with containerization and cloud. With Docker, IT organizations shrink application delivery from months to minutes, frictionlessly move workloads between data centers and the cloud, and can achieve up to 20X greater efficiency in their use of computing resources. HashiCorp Cloud Infrastructure Automation Consistent workflows to provision, secure, connect, and run any infrastructure for any application. Operators moving into the cloud face three unique challenges: addressing infrastructure heterogeneity, managing scale, and enabling self service consumption across organizations. To address these challenges for users adopting AWS, HashiCorp offers a dedicated Terraform provider for the purpose of provisioning and managing AWS cloud-based services. Bring the cloud native landscape to your Kubernetes cluster with a push of a button. Pivotal Cloud Foundry on AWS enables companies to streamline their software development lifecycle and accelerate their digital transformation. Quickly get Java, .NET, and Node apps into production with PCF’s modern tools and frameworks. Increase productivity with built-in monitoring, logging, and autoscaling. Improve your security posture with rapid patching and innovative credential management. PCF on AWS is a cloud-native platform for building and running applications at scale. Using open source technology, PCF empowers organizations to rapidly and efficiently deliver new code. PCF integrates with a number of AWS services, so teams can streamline the consumption of resources on the cloud. Red Hat OpenShift is a leading enterprise Kubernetes platform, with full-stack automated operations to manage hybrid-cloud deployments, optimized for developer productivity and frictionless innovation. Red Hat OpenShift is trusted by over 650 organizations to enable frictionless innovation. OpenShift unites IT and developers on one platform to quickly and reliably develop, deploy, and manage container applications across hybrid-cloud infrastructures, helping businesses deliver greater value to customers, faster. Spotinst Elastigroup is the simplest and fastest way to run containerized applications on AWS. No instances to manage, no cluster to operate, empowering DevOps and developers to build, run and scale applications with ease. Elastigroup auto scales based on your Containers requirements. It also seamlessly run on Spot Instances and save up to 80% on your Compute costs while maintaining high availability, relying on cutting-edge Predictive machine-learning. APN Partners that offer monitoring and logging technology enable customers to collect metrics, analytics, and debugging information from their containerized workloads. These solutions allow for visualization of real-time events and alerting capabilities beyond the native integration with Amazon Cloudwatch. Datadog provides full visibility into the health and performance of all your applications, wherever they run. Combining real-time metrics from servers, containers, databases, and applications with end-to-end tracing and log management, Datadog delivers actionable alerts and powerful visualizations to provide full-stack observability. Datadog includes over 250 vendor-supported integrations and APM libraries for several languages. Monitor containerized applications in dynamic cloud environments out of the box - Software intelligence for the enterprise cloud. Dynatrace makes it easy to monitor and run complex, hyper-scale cloud ecosystems. Purpose built for today’s enterprises and fully integrated with AWS, Dynatrace is the only AI-powered, full stack, and automated monitoring platform that provides deep insight into every user, every transaction, across every application. 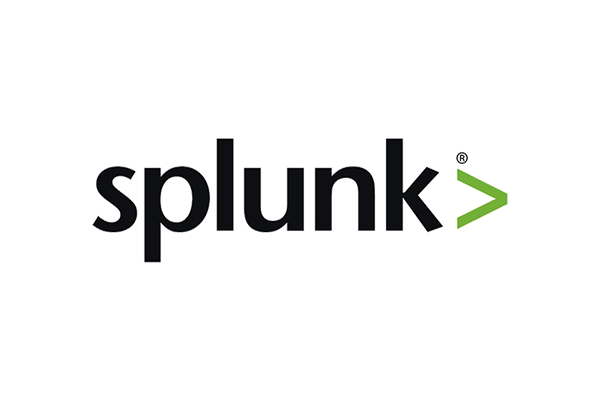 The Splunk platform provides container monitoring and logging solutions to provide workload visibility no matter where you deploy, including Splunk Connect for Kubernetes on EKS and Splunk’s Lambda blueprints and docker images for Fargate and ECS. Splunk Connect for Kubernetes deploys to your EKS cluster for cluster level logging, metadata and metrics collection. Splunk Serverless Apps allow container stderr/stdout to be sent from CloudWatch to Splunk. The Splunk UF Sidecar runs in ECS or EKS and is used to mount directories from legacy apps. Weave Cloud is our software-as-a-service for development and DevOps teams running Kubernetes at scale. It minimizes the complexity of updating Kubernetes clusters by combining workflows for Continuous Delivery, Observability and Monitoring. Built-in GitOps workflows are the foundation for improved development velocity and increased reliability. Weaveworks’ mission is to make operations for developers and DevOps simpler, better and faster. We strive to minimize complexities in managing workloads and to provide a developer centric operating model for cloud native applications. Our products and solutions are built on GitOps, Git-centric workflows for operating production-grade Kubernetes. These APN Partners that offer Security technology solutions enable customers to run compliance based workloads within container orchestration frameworks, as well as proactively assisting the customer in protecting their customer's environments. These solutions should provide network monitoring & management, CVE & vulnerability scanning, and alerting capabilities. Alert Logic provides network intrusion detection and log management solution for containers. Detect and visualize threats in real-time for any workload, in any container on any platform. Plus, our security professionals watch over your environment 24/7 - so you're never on your own. Alert Logic Container Security Platform (available as part of Alert Logic SIEMless Threat Management Professional) enables customers to: Detect cyber attacks in real-time. Collect, aggregate, and search container application logs. Make your security as portable as your containers. Build a better view of security impacts. Get proactive notifications from our security experts when suspicious activity occurs. Aporeto Enterprise is a Zero Trust security platform securing microservices, containers, and cloud workloads. By relying on automatically-generated, cryptographically-verified application identity, Aporeto abstracts away infrastructure complexities, provides stronger security, simplifies operations, and delivers impressive cap-ex and op-ex savings. 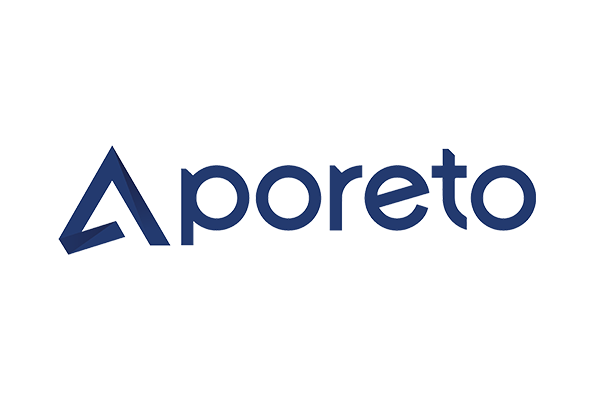 Aporeto Enterprise secures applications with transparent end-to-end authentication, authorization, and encryption between application components. By discovering dependencies and suggesting Zero Trust security policies, Aporeto Enterprise behaves like a distributed firewall with no reliance on IP addresses. The solution enables centrally-administered, real-time monitoring, and alerting for multi-cluster or hybrid-cloud applications. Aqua works across all cloud-native platforms to secure your containerized workloads, with out of box support for ECS, EKS, Fargate and Lambda. Aqua is also integrated with KMS, CloudWatch and IAM. Aqua Container Security Platform is built with philosophy of modernizing security. The platform has capabilities such as Runtime Security, Continuous Image Assurance, Image and Function Scanning, CI/CD Integration, Secrets management, Compliance and Audit controls, Full user Accountability, CIS Benchmark Reports. The platform is enterprise scale and integrated with SIEM tools. Sysdig provides DevOps teams with deep insight that accelerates the development, deployment, and operation of reliable and secure, cloud-native software running with containers and Kubernetes on AWS. The Sysdig agent enables in-depth monitoring and security for your dynamic containerized services on AWS. Featuring Sysdig ContainerVision and ServiceVision technology, the Sysdig agent captures events, metrics, and activity across your cloud environment with one agent per host. Tigera Secure uniquely enables AWS + Kubernetes-aware security policies, visibility and compliance for self-managed Kubernetes and EKS. Tigera Secure provides zero trust network security and compliance controls for Kubernetes platforms, including enforcing policy-driven security between containers and off-cluster endpoints, encryption of data-in-transit, enhanced flow logs, visualization, monitoring and compliance reporting. 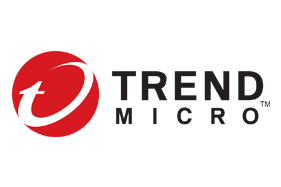 Trend Micro delivers advanced security optimized to protect and scale across platforms, data centers, cloud, and container environments. Build secure, ship fast, and run anywhere using Trend Micro’s CI/CD protection solution with security-as-code, continuous automation, and tools designed to secure applications across your evolving hybrid cloud environment. Deep Security works seamlessly in the cloud to protect not only your workloads but also your container environments. Designed with strong API integration for leading cloud vendors, IT Security can protect cloud environments with auto-generated deployment scripts for critical security controls and exceptional protection for containers and the Docker host, while DevSecOps can bake security into the CI/CD pipeline for frictionless pre-runtime scanning and automated protection of images. Trusted by 25% of the Fortune 100, Twistlock is a complete, automated, and scalable platform for securing containerized, cloud native, and serverless applications. Twistlock provides precise, actionable vulnerability management, automatically deployed firewalls, and protects applications across the development lifecycle and into production. Twistlock protects enterprise workloads against threats across all AWS platforms used to run applications: Amazon EC2 instances, Amazon ECR, Amazon ECS, Amazon EKS, Fargate, and Lamba. Are you Interested in Listing your Container Solution? APN Partners interested in listing their Container product or solution must have achieved the AWS Container Competency through the AWS Competency Program. Note: All solutions on the AWS Container Partner Solutions webpages are created, sold, and implemented by the third party.